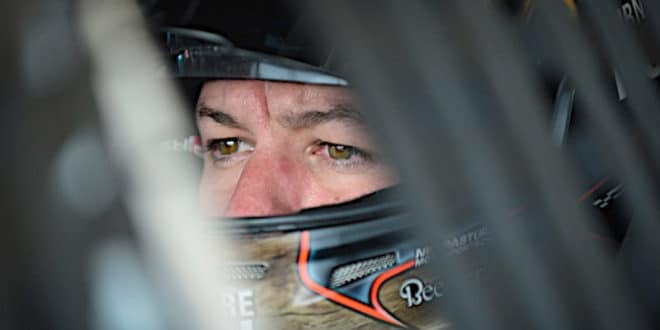 Martin Truex, Jr.’s thrilling Southern 500 win Sunday night brought up memories of the last time Furniture Row Racing visited Darlington Victory Lane. 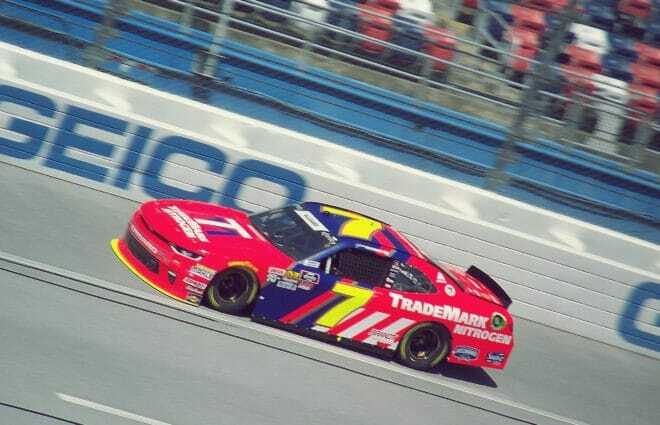 It was in the spring of 2011, the driver was Regan Smith and the struggling one-car team had only recently returned to full-time competition after scaling back during the Great Recession. At that point, FRR was the ultimate underdog, as Smith’s win was just the second top-10 result in team history. That phrase is easy to forget during a season where NASCAR has, at times, seemed stagnant. But buried under the criticism surrounding ratings, attendance, and occasionally competition is a reality that this sport still retains a measure of unpredictability. It’s not just what happened with FRR itself that was unthinkable since that Darlington race in 2011. Consider…. Martin Truex, Jr. himself. Truex, back then was in his second year running for Michael Waltrip Racing, a vastly improved Toyota program as the replacement for Waltrip driving the NAPA Toyota. The team still was a key part of TRD’s future and appeared to be building toward a Chase bid they’d earn the following year. One of those bids was earned by Clint Bowyer, a man who five years ago was running for Richard Childress Racing and considered one of the key cogs in that company. Who would have imagined then Bowyer would finish runner-up in a title bid for MWR the very next year? Or that today, MWR would cease to exist and Bowyer would be readying for a job as Tony Stewart’s replacement beginning in February 2017, a team that will be running Fords after breaking their ties with Chevrolet? Or that Truex would be FRR’s second driver since releasing Smith at the end of 2012? Carl Edwards finished second to Smith that day in Darlington, earning the point lead with Roush Fenway Racing. 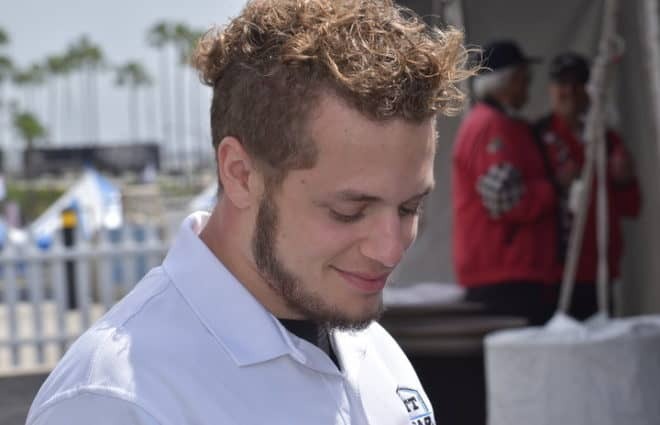 It was assumed Edwards, just 32, was a key cog in Ford’s future and would win at least one championship with the Blue Oval brand. Who would have thought in 2016 that title could be on the verge of coming with Toyota and Joe Gibbs Racing while Roush, his former company will in all likelihood go a second straight year without a car in the Chase? Second in the standings after that Darlington race was Jimmie Johnson, well positioned it seemed for what would be an incomprehensible sixth straight title. Who would have guessed that, five years later he would have had to wait until 2013 to win it? Or that number seven still hasn’t come yet, the No. 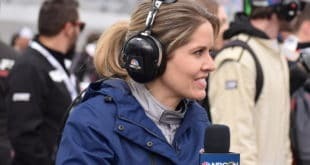 48 team struggling while all of Hendrick Motorsports appears to be in major transition mode toward a younger generation? Running third in that May 2011 Darlington race was Brad Keselowski. 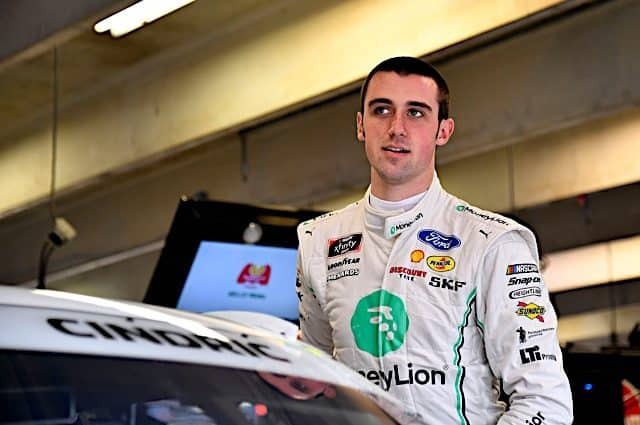 At that point, it was his best performance running a Team Penske car and his second-highest career finish in Cup aside from a shocking 2009 Talladega victory with James Finch. Who would have thought five years later that Keselowski would have earned a Cup championship so quickly (2012) and earned 20 total victories over that span? Or that his teammate at Penske would be…. 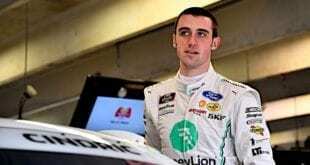 Joey Logano, Mark Martin’s anointed king of the next NASCAR generation who was still considered a prized young talent at Joe Gibbs Racing back in May 2011. 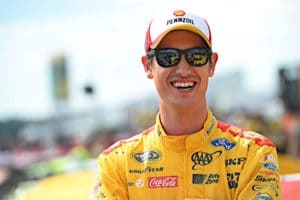 It would be another year and a half before Logano would wind up released, free to sign with Penske and hit the reset button on a career which, to that point included just two wins on the Cup level. Since then? He’s won 13 times. Logano would take a ride that in 2011 was manned by … Kurt Busch, now contending for a title with Stewart-Haas Racing after his career was beginning to implode with Penske in May 2011. Who would have ever predicted Busch would end up there, having fully rebuilt a career in the process while enduring accusations of verbal abuse, domestic assault from ex-girlfriend Patricia Driscoll and various altercations with members of the press? 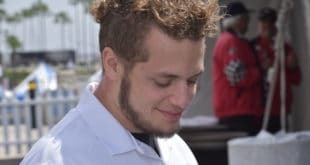 Or that he and brother Kyle would improve their image in the eyes of NASCAR fans, Kyle winning a championship in 2015 nine months after breaking his leg in Daytona? Busch could do that…. As the result of a Chase format no one had even considered in 2011. Back then, fans were dealing with a recently tweaked edition where the top 10 drivers made it in on points along with two drivers in point positions 11-20 after Richmond (wins determined the final two “wild card” entrants). The sport was in its first year of adjusting to the (mostly current) point system after using the so-called “Latford system” that had been in place since 1975. Kyle Busch, back in 2011 would have never come close to making the Chase after missing the amount of time he did during the regular season. That’s just a small cross section of what’s different in NASCAR today. Why does it feel sometimes like there’s not too much of a difference? Well, seven of the top 10 in points after that Darlington race in May 2011 have all qualified for the 2016 Chase. 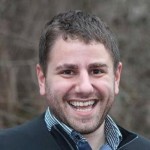 An eighth, Ryan Newman could easily qualify Saturday night in Richmond while a ninth, Dale Earnhardt, Jr. would likely have made it without his concussion injury. Only Bowyer, currently paying penance with a small-time team before becoming Stewart’s replacement has been out of title contention throughout most of 2016. That’s a high correlation. 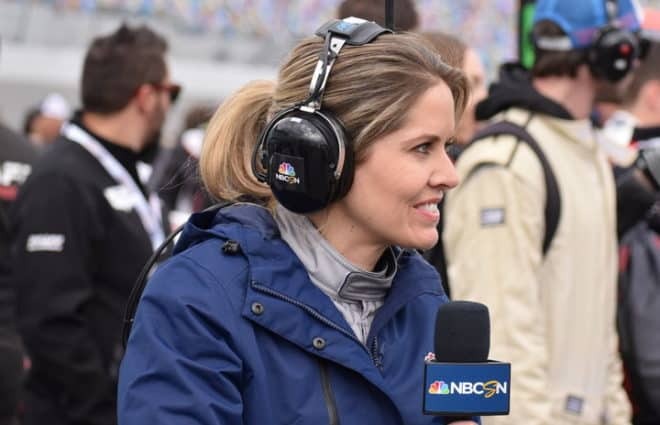 Such stability atop NASCAR Nation, often paired with the well-known continuing battle for NASCAR to create better competition can sometimes make one think little has changed. 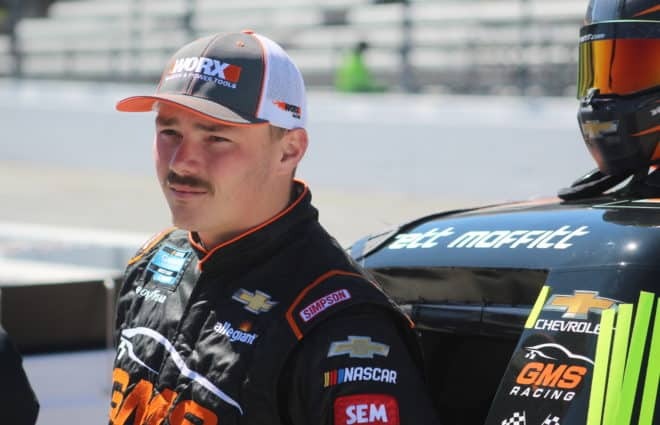 But as Truex reminded us Sunday, following up Kyle Larson’s thrilling Michigan victory the week before the sport still has the ability to shuffle teams, drivers, even winners on occasion. And where there is change, even in a difficult year for the sport faced with dwindling audiences there is hope trends could turn around. Editor’s Note: After some much-needed time off, I’m back writing here twice a week, the website I own through the rest of the regular season. Find my columns on Thursday from here on out while Did You Notice? will still run in its Wednesday slot. You can also find me at Athlon Sports. The look back on Keselowski is quite interesting. While there has been no admission on either side, he was probably on a hot (or least warm) seat at that point in his Penske career.